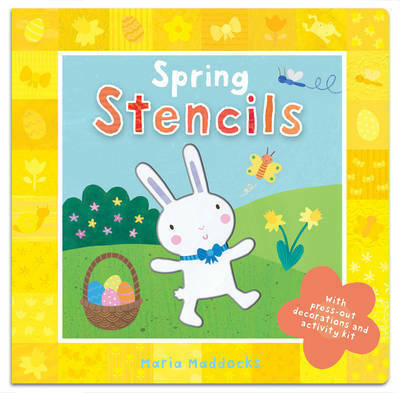 A book with a wide range of chunky stencils which allows children to design cards and springtime scenes. It features five large, sparkly press-out pieces that can be used as decorations. Maria Maddocks has always been interested in drawing and making things, and as a child loved making handmade cards and gifts for friends and family. She now works as a full-time illustrator. Her illustrations are an ensemble of painted, printed and collected materials collaged together. She really enjoys illustrating children and animal characters, creating their personalities visually, and making them come alive on the page. Maria has also illustrated CHRISTMAS STENCILS for Caterpillar Books.